The 25-year-old man and a 26-year-old woman were hit after getting out of their car on the hard shoulder of the southbound motorway following a break down between Warwick Services and junction 12 at around 2.50am. The man suffered life-threatening injuries and remains in hospital, while the woman sustained minor leg injuries and has since been discharged. 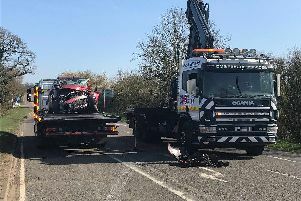 PC Matt Morrall from Warwickshire Police’s serious collision investigation team said: “Our thoughts at this time are with the two people involved and their families. “An investigation into the collision is underway and we have spoken to a number of people who were in the area at the time. 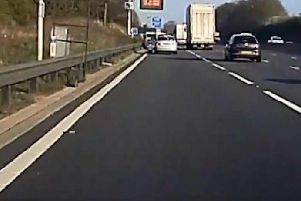 “In order to help establish how the collision occurred, we’d like to speak to anyone who witnessed the collision or saw the vehicle pull over onto the hard shoulder. The M40 was shut from junction 14 to 12 for around seven hours because of the incident, reopening fully at around 9.45am. Anyone with information should call police on 101 quoting incident number 39 of March 31.